A day before they are set to perform in the financial capital, we catch up with lead vocalist Ryan Tedder from OneRepublic and he chats with us about memorable performances, what he does when not working, what about India catches his fancy, projects that are in the pipeline and more. What has been an interesting incident with a member of the audience? I’ve learned with our band that if you have created music that becomes the theme song to somebody’s senior year in college, or their best friend passed away and you got them through it, you’ve created a connection with that person for the rest of their life. And very few people get to do that. For me, that’s the coolest thing in the world. Which one of your own songs do you love performing live? There are too many! Counting Stars, Apologise, Stop and Stare. I want to go to Nepal and see the Himalayas. What is the thought process behind your music? Inspiration comes from all over – travel, experiences, family and love. When I started OneRepublic, U2 were up there as a frame of reference. I used Bono’s lyrics as a how-to guide for being the lead singer in a band. After a hectic tour I like to take a few days off and hang out with family, watch some movies, cook food, skateboard around my studio, and if there’s snow – go skiing! An artist you would like to collaborate with? What are you looking forward to during your stay in India? We are psyched! We have never really had the chance to explore until now. We hope to learn about the culture – to explore the local markets and try some great food, among other things! India seems like such a beautiful and vibrant place with wonderful people. We’ve put out four albums over the last decade and have carefully picked a set that we think will inspire and engage the audience. And, we have a few surprises up our sleeve as well! What are you currently working on, what can all your fans look forward to in the future? We are in the process of working on our fifth album. There are no dates yet but we’re planning on releasing it later this year. Lots of new songs coming first though. A lot of the forthcoming stuff will be way more organic sounding, like, more of a ‘five people in a room’ sound than we’ve been able to really attach ourselves to in a while. I think we’re ready to push that in front of us, to try to get people to care about organic-sounding honest music again. 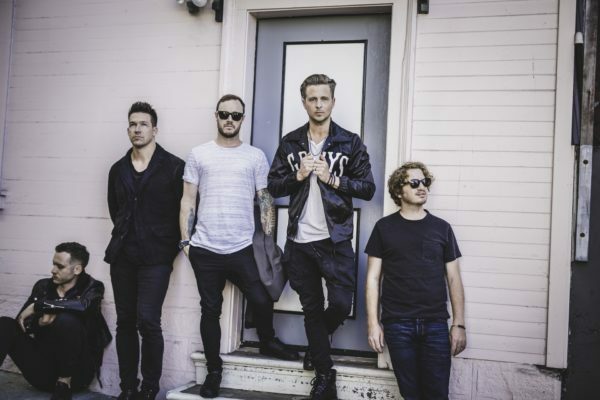 OneRepublic will perform at NSCI Dome, Mumbai on the 21st of April, 2018.